Last Game: Last night in Binghamton the Pens won 3-2 in overtime. Kael Mouillierat scored in overtime to win the game for the Pens. Tom Kostopoulos had the other two goals on the power play. 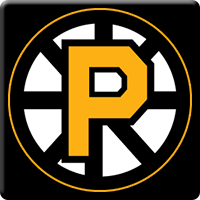 For Providence, the Bruins were in Allentown last night and lost 4-3 to the Lehigh Valley Phantoms. The Bruins were down 3-1 and battled back to tie it at three, but the Phantoms would not be denied the victory. Last Meeting: February 28 in Providence the Pens lost 3-2. Carter Rowney and Dominik Simon collected goals for the Pens in the loss. Why you should care: Expect a mad Providence team tonight. The Bruins had no business losing to the Phantoms last night who snapped an eight game losing streak by beating Providence last night. The Pens will need to be cautiously aggressive tonight with a Providence team that is extremely dangerous. Other Game to Watch: Since the division is such a dead heat between the Pens and Bears, we are going Hershey hosting Albany tonight.